Every once in a while a story comes along that moves you in all kinds of ways; this is one of those stories. One day, Harold receives a letter from a woman he has not seen or spoken to in twenty years. Queenie Hennessy was a coworker of Harold’s a long time ago, and she disappeared very suddenly – and now she is writing to Harold, as an old friend, to let him know that she is dying. Harold is a little undone by the news – he hardly knows what to say. He dashes off a quick note in reply and tells Maureen that he is going to walk to the post box to mail it. When Harold reaches the mailbox, however, he decides to continue walking until he reaches another mailbox. He passes the afternoon that way – continuing to decide to walk just a little further. And then he decides to walk all the way to Queenie, where she lays in hospice in Berwick Upon Tweed, roughly 450 miles away – with nothing but the clothes he left home with and not even a mobile phone. 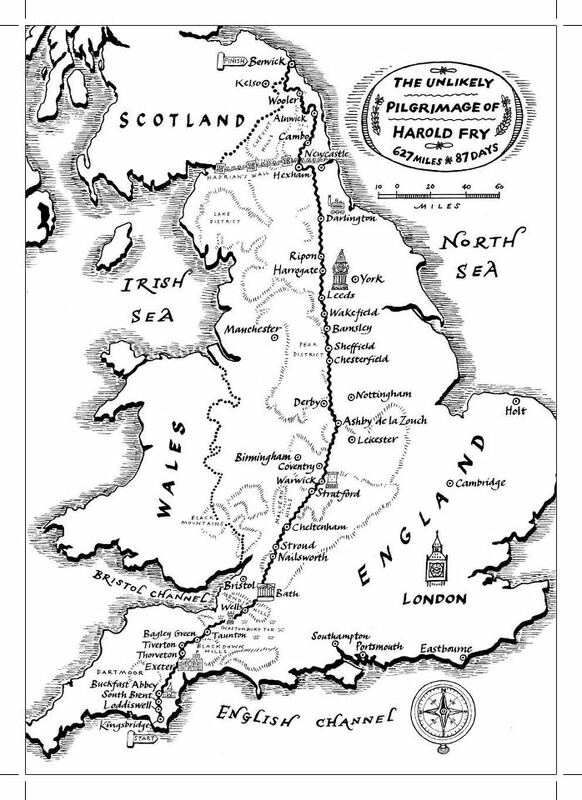 And so begins Harold’s trek to Queenie – which, including detours, ends up being over 600 miles. Over the three months of walking, Harold meets some interesting people and is afforded an opportunity to take stock of his life – especially his painful past. While he is gone, Maureen, too, is left alone with her thoughts and memories, and is finally able to face truths she could not before bring herself to face. 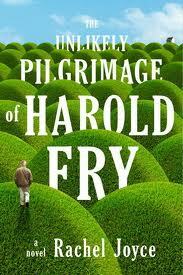 Harold’s pilgrimage changes both of them in surprising ways . . . or maybe it really just strips them both down to their real selves. I listened to the audio version of this book, and there were numerous times I had to stop myself from crying while I was out walking or getting a pedicure as I listened to it, plugged into my iPod. There are so many tender and just plain moving scenes in the story. Beautifully told, often wry and humorous, and utterly poignant. I loved this book. It was my book club’s choice and I read it. It was just “okay” for me, though I relate to what you said. Sometimes, my enjoyment level while reading a book is determined by what’s going on in my life. If I’m super busy with other things, the book may not get the attention it deserves. That being said, a page-turner will have my attention no matter what. Kudos to the author. Anyone who can write such a touching story as this one is indeed talented. I liked this book. There were parts that dragged for me but overall, I enjoyed reading it. I wanted Harold to finish his journey and thought his wife was a little mean, until I read the later parts of the book. Boy, was I wrong!